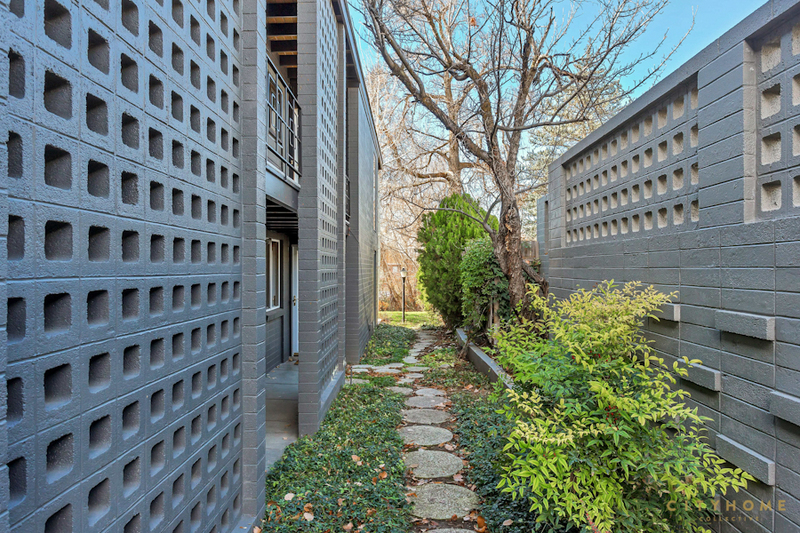 Our Opinion: COLLECTIVELY, we have an affinity for mid-century architecture (yes, yes...you know this). 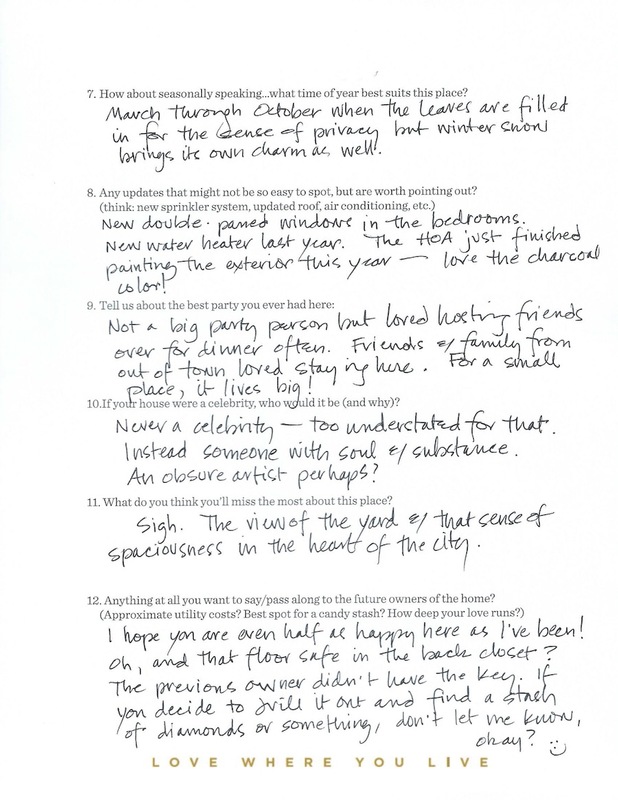 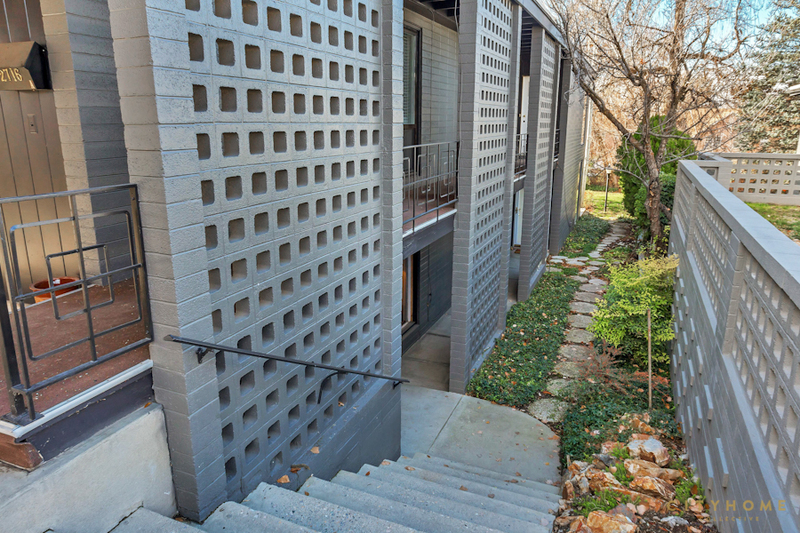 But the truth is, we appreciate unique architecture of all sorts--and that includes rad, one-off condos. 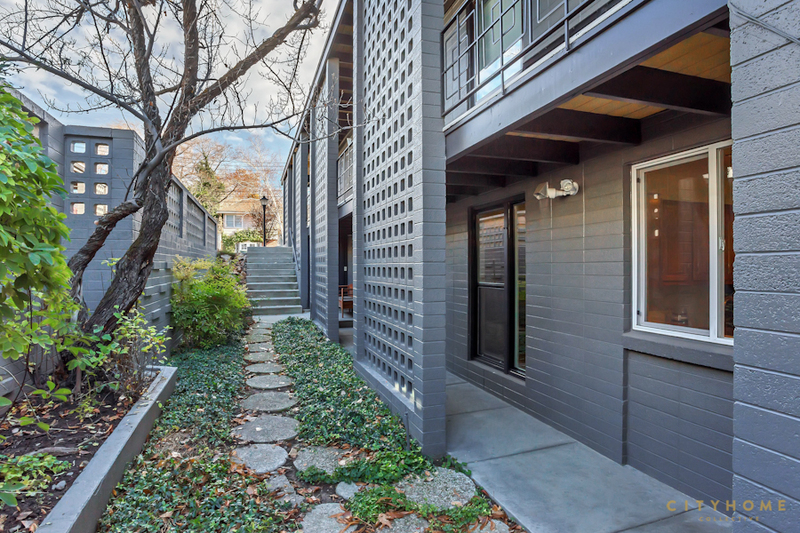 When mid-mod glory and architectural grace come together, it's a beautiful blend, indeed. 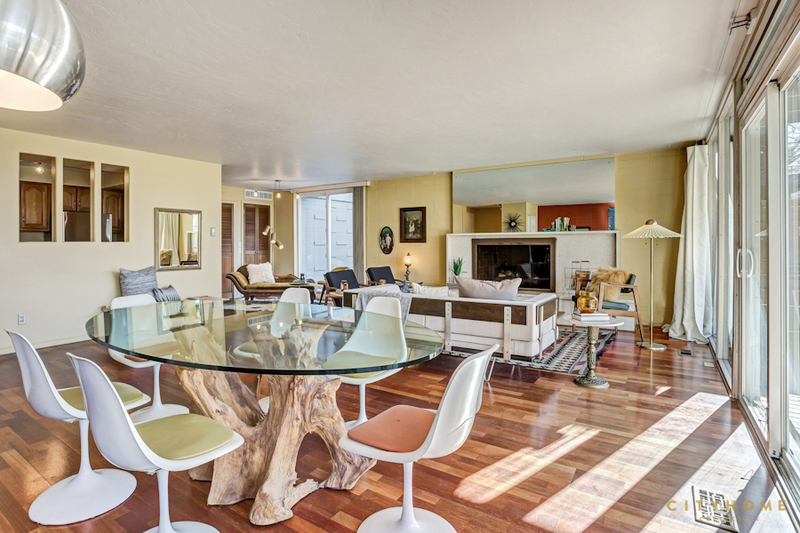 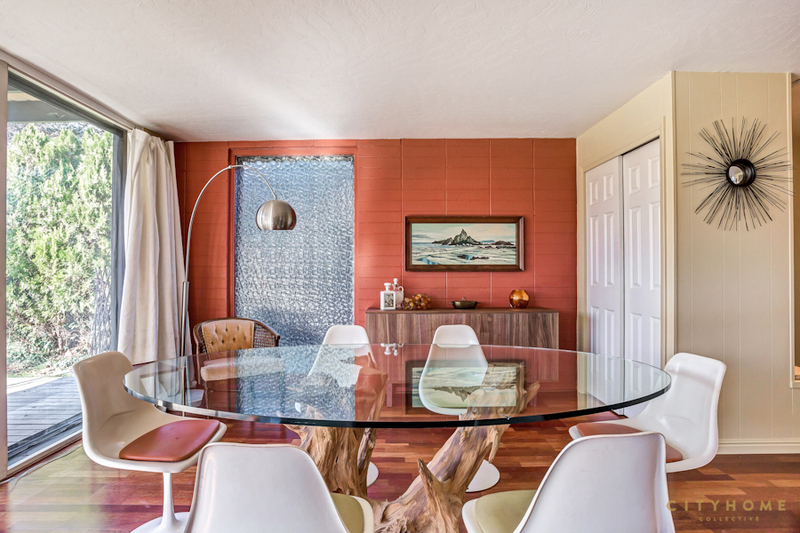 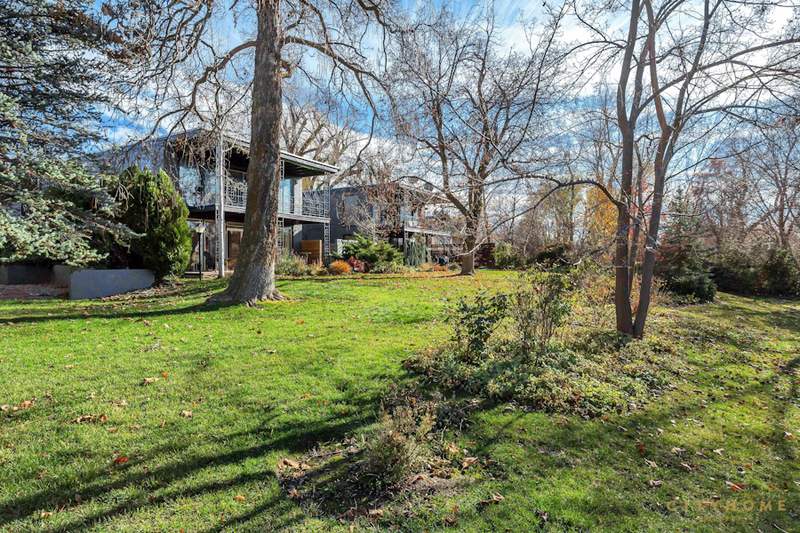 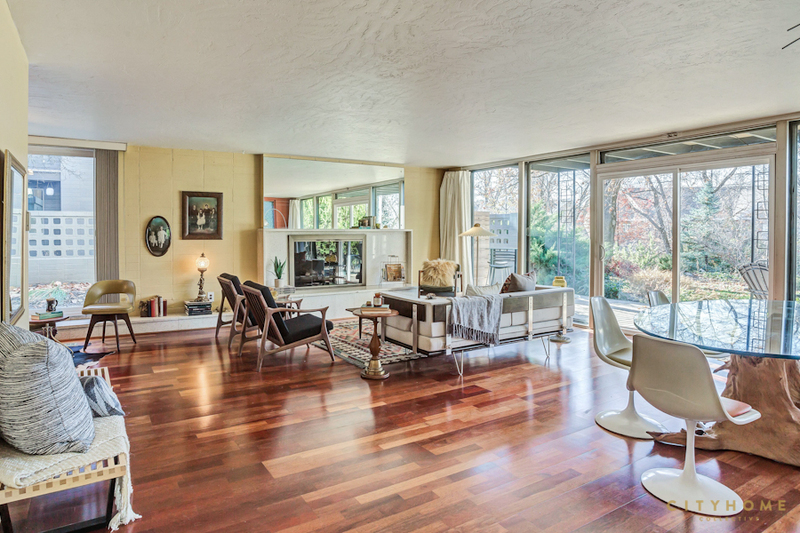 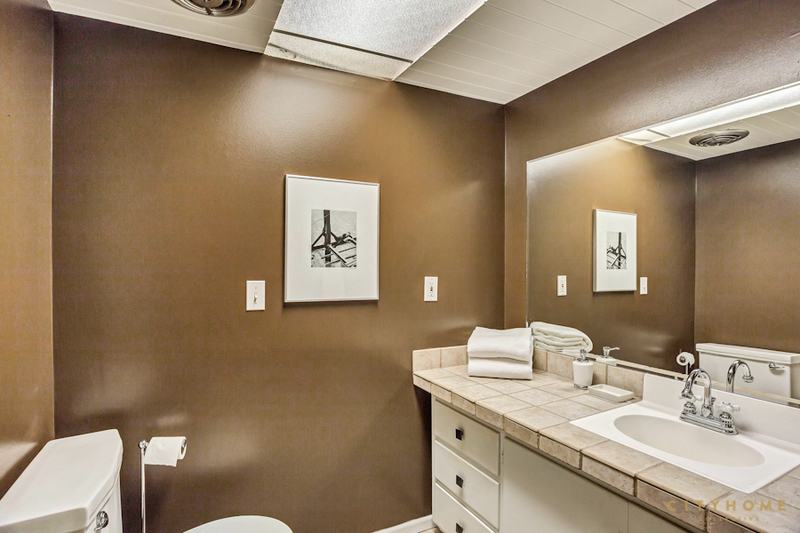 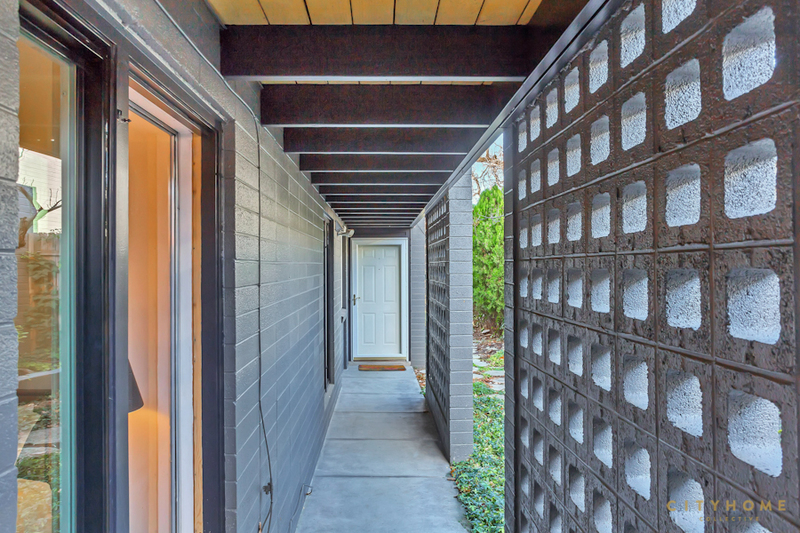 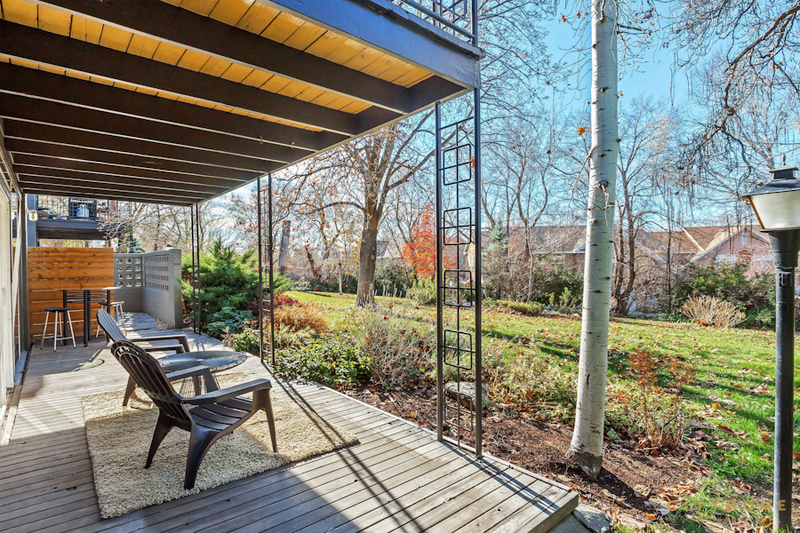 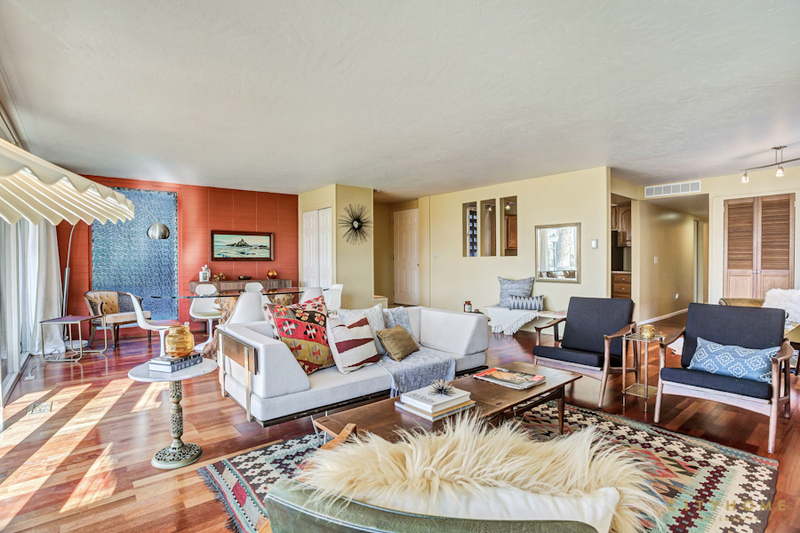 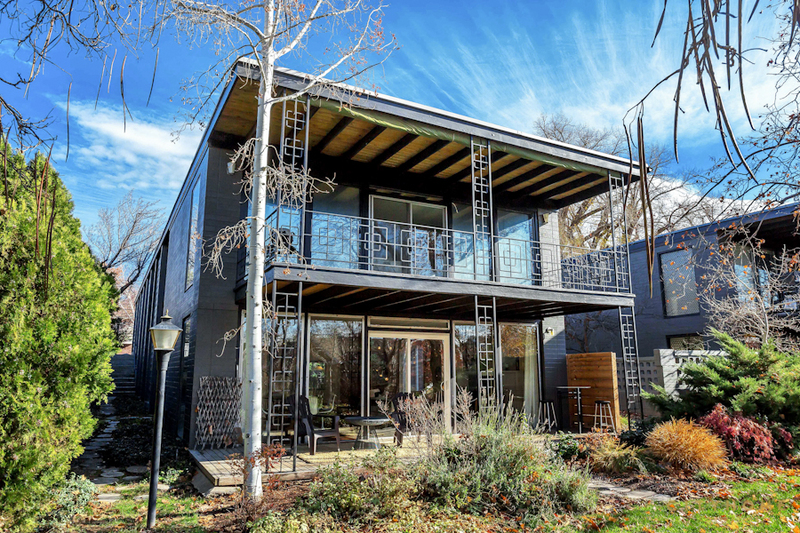 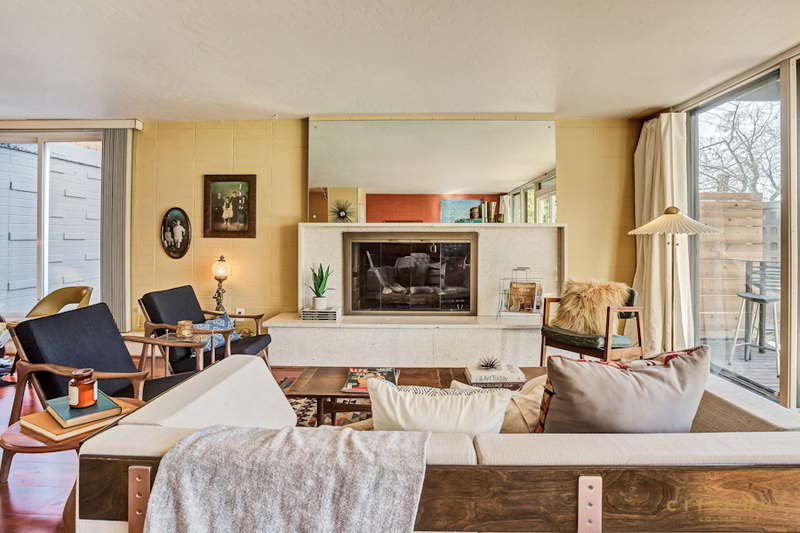 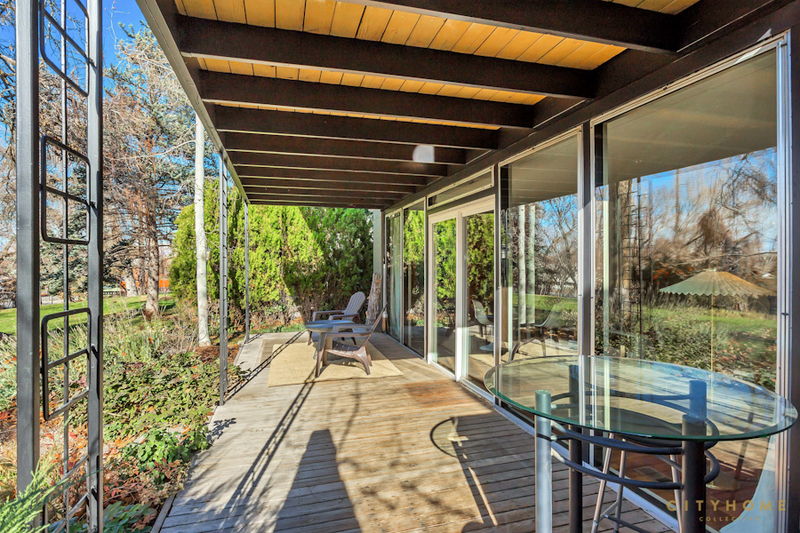 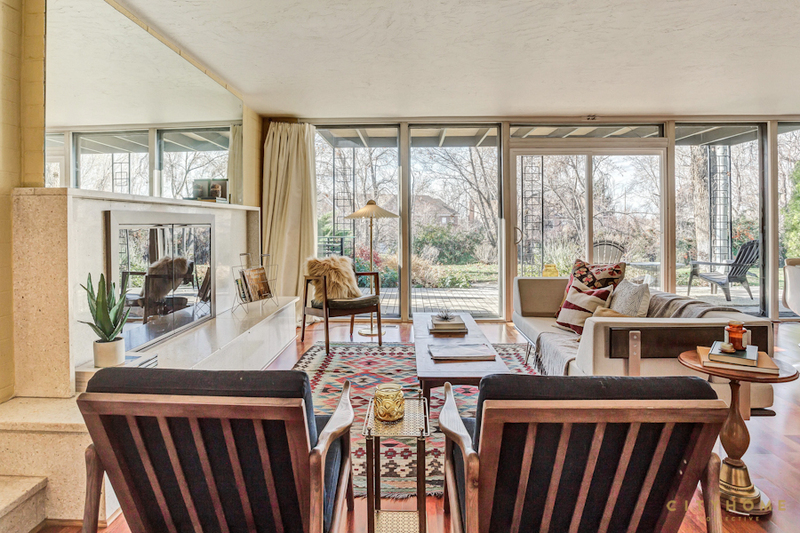 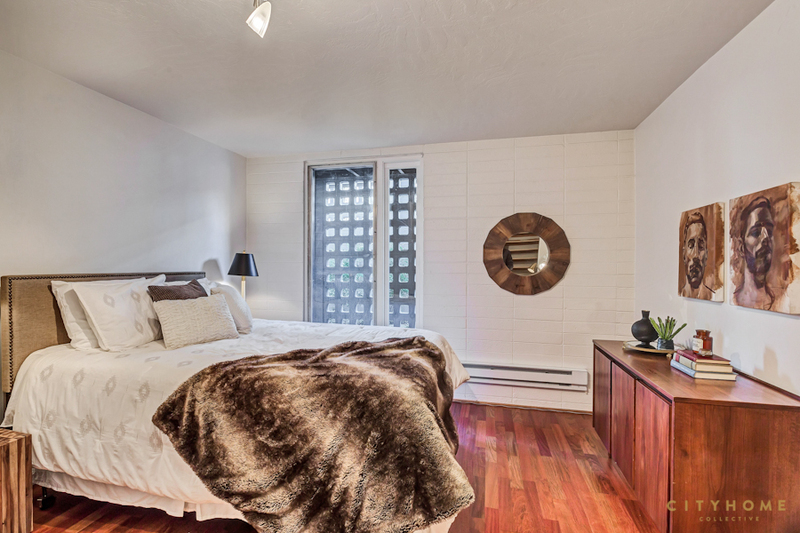 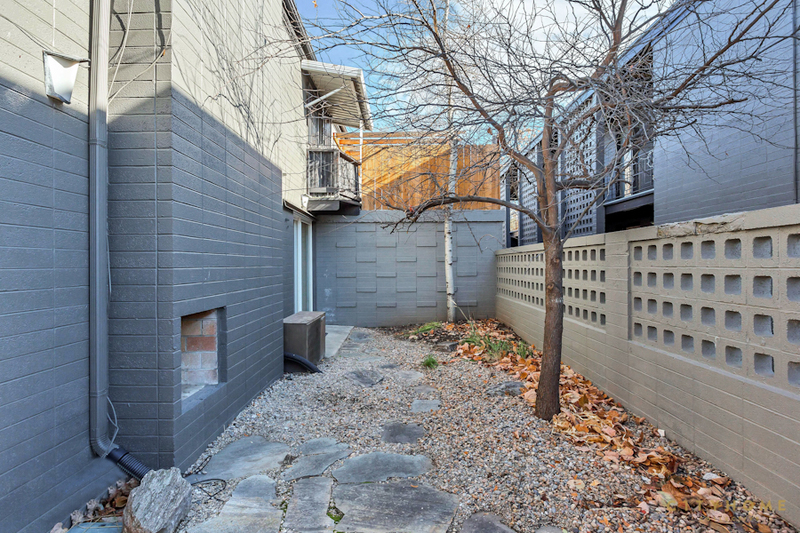 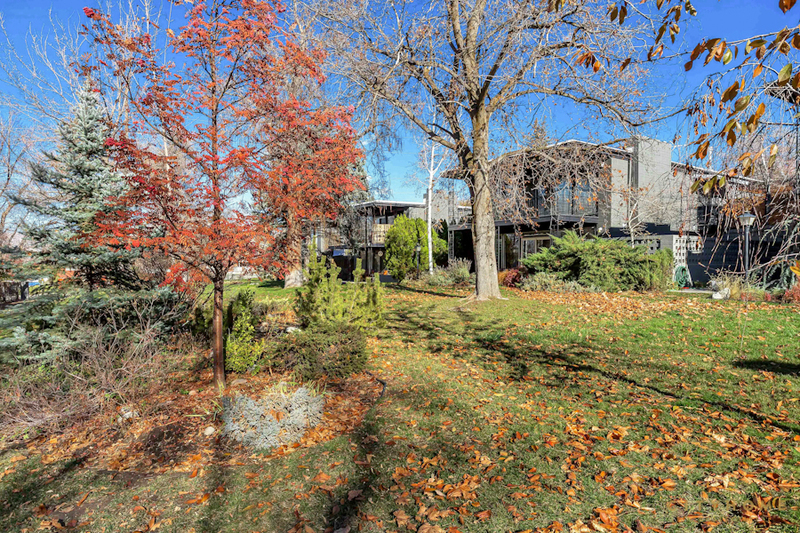 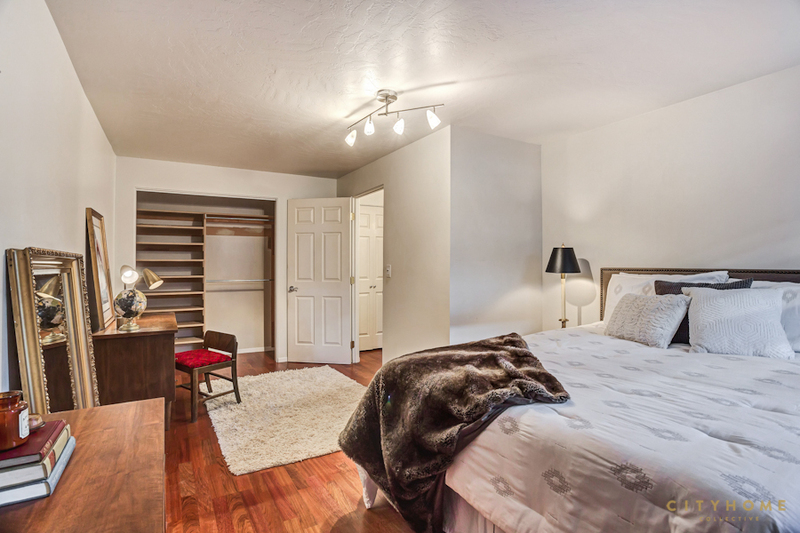 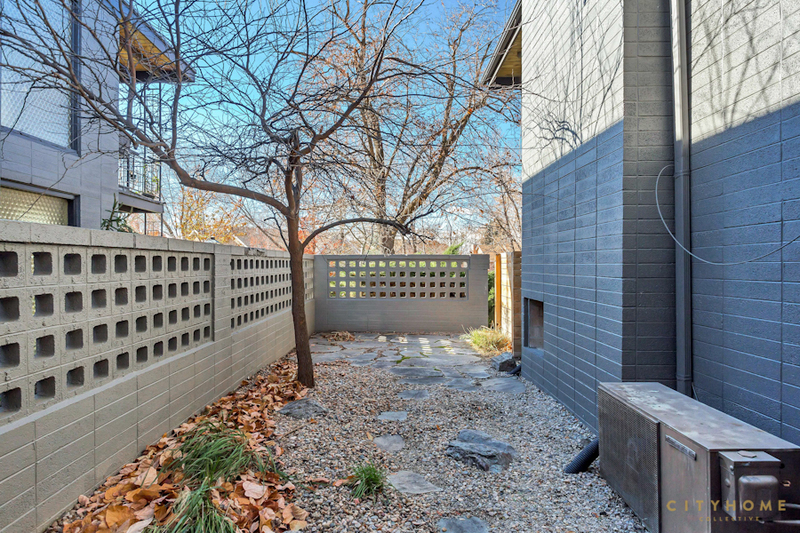 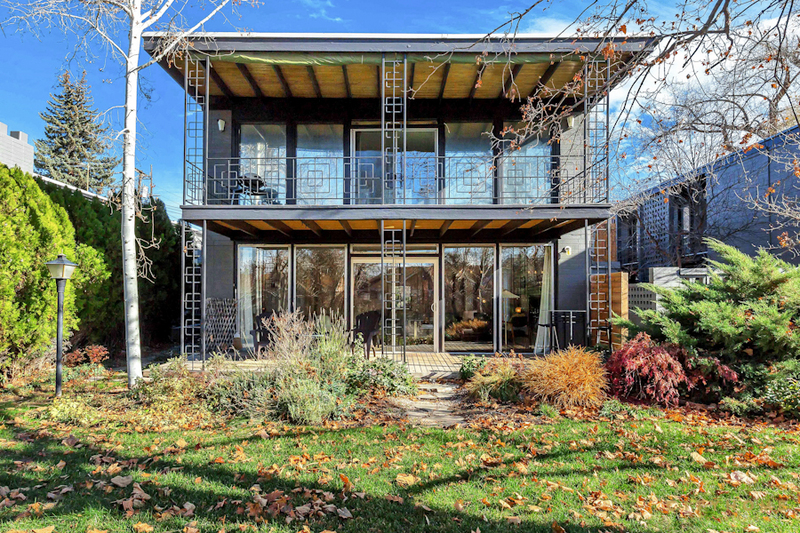 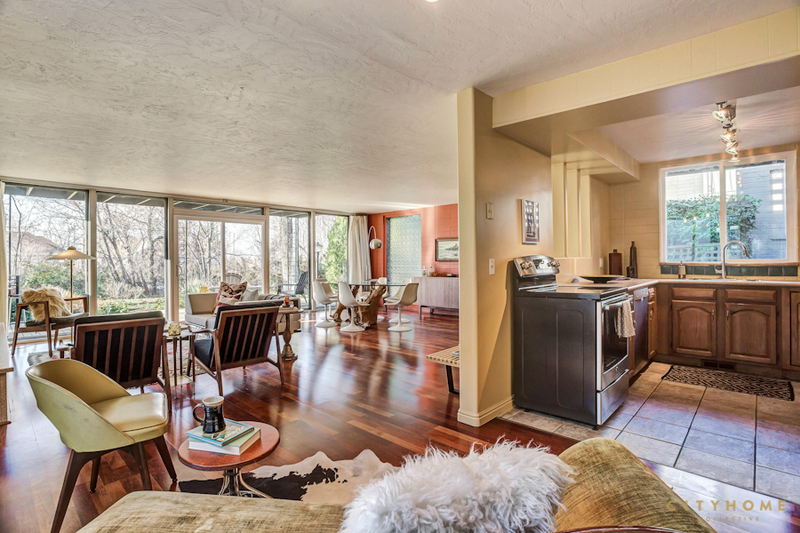 A preserved mid-century condo complex is a rarity in SLC, and one with this proximity to Sugar House proper is most certainly a "snap it up quick"-type find. 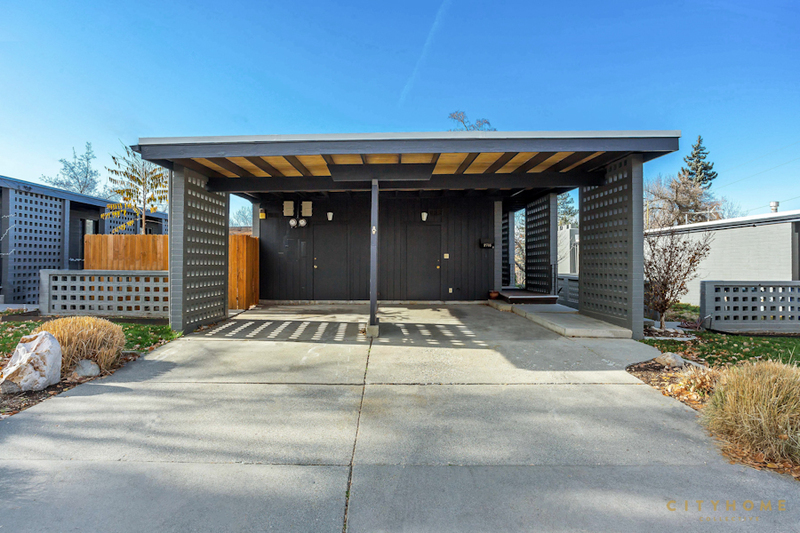 This ground-level unit boasts as wide-open a floorplan as you've likely seen, and there are enough new touches within to provide those warm fuzzies that come with a freshly-updated space. 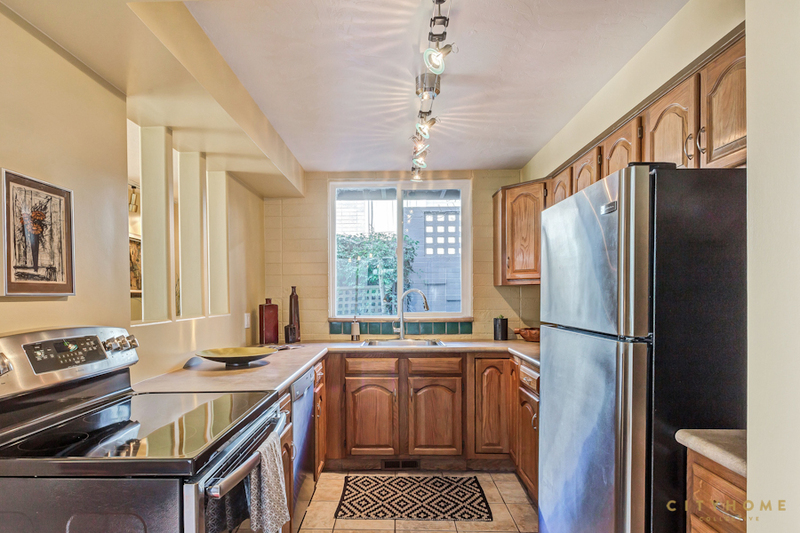 Hardwood floors and newer appliances in the kitchen lend a modern vibe, but we think you're apt to find yourself spending as much time outside the space as in it. 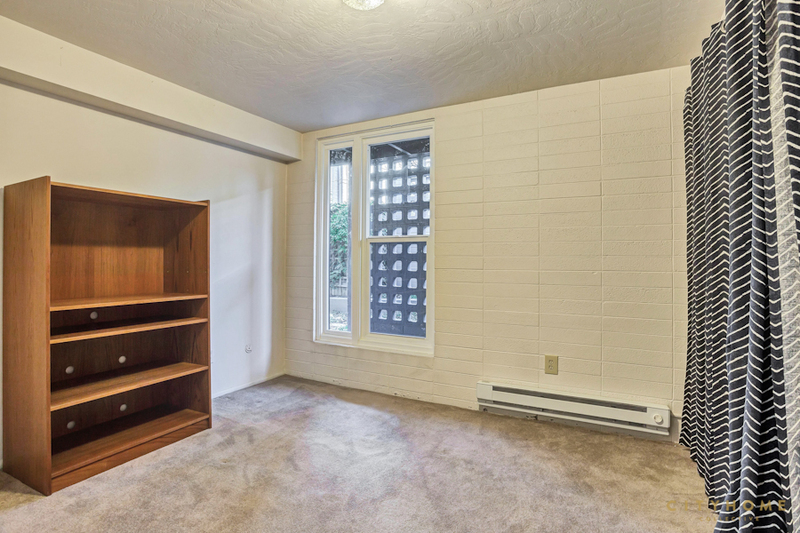 There's a park-like bit of outdoor space (reserved for residents) right outside your door, and you needn't even step outside to enjoy it (you see that wall of windows). 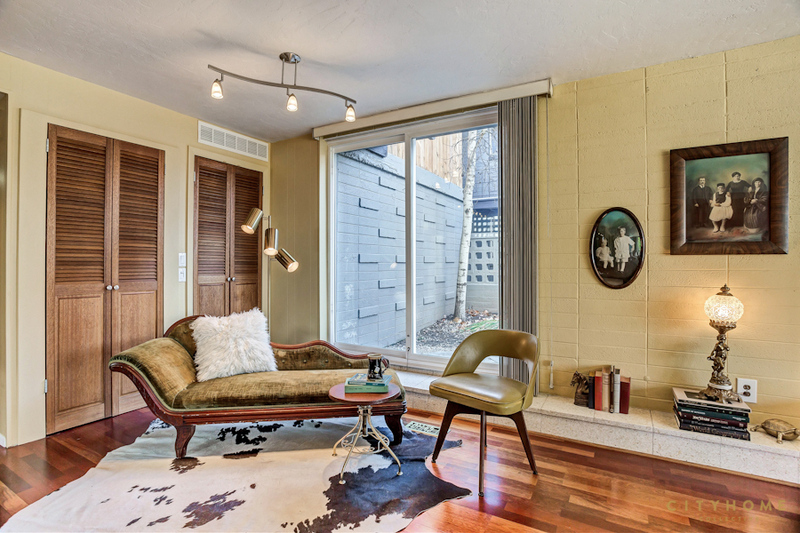 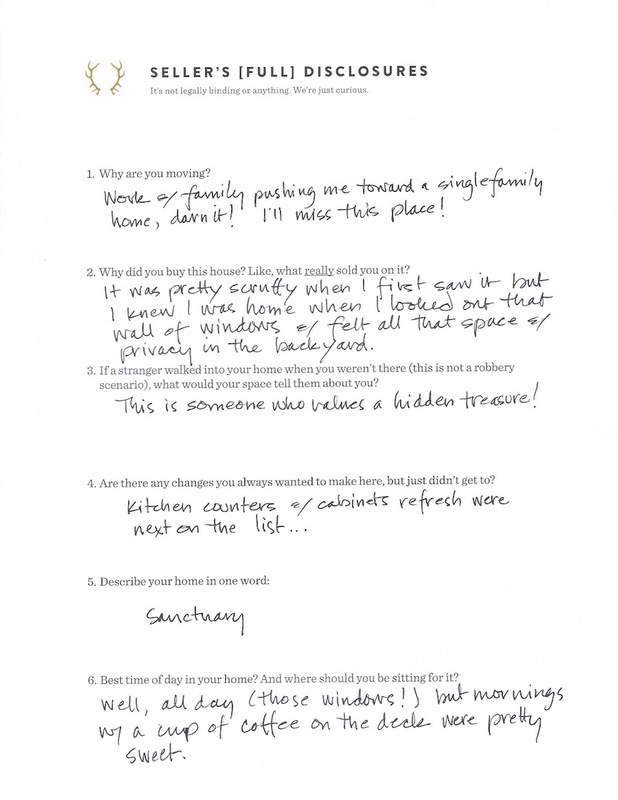 In summation: this is a light, bright, and beautifully-preserved space, with just the right bit of updated goodness. 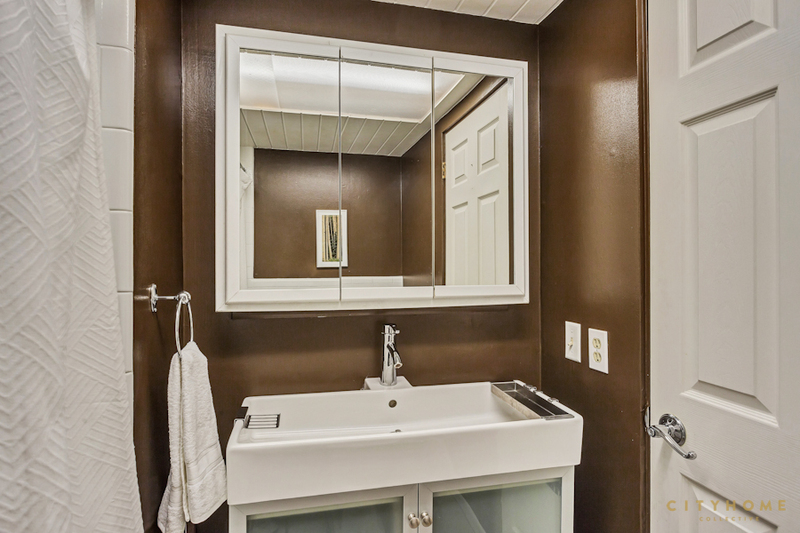 How sweet it is.